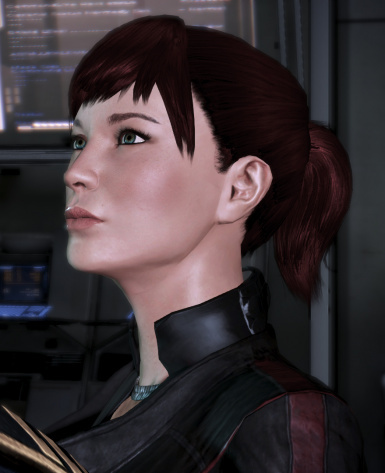 A modded casual outfit with a top tank for FemShep in Mass Effect 3. This replaces the intro outfit. 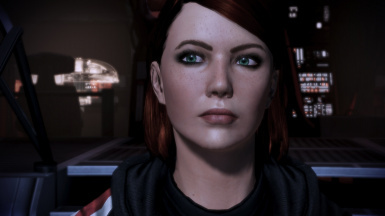 Replaces the default femshep with my personal edit. New head, hair, and textures. Custom hair and face textures also uploaded as separate mods. 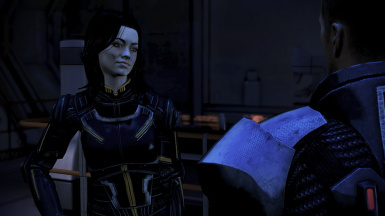 New versions of the character creator hair for female Shepard. 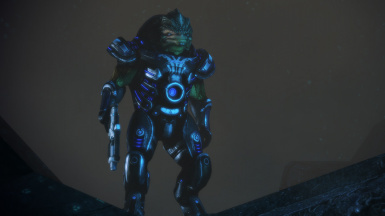 Will also mod some NPCs. 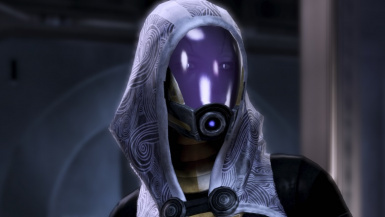 The Tali DLC test mod has been pulled for now. There's a texture issue to work out before re-release as a fully plug-n-play DLC. 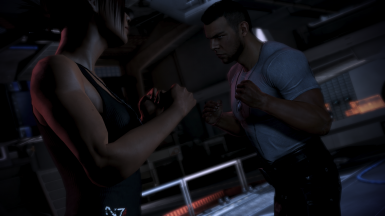 Tank top and fatigues casual outfit for female Shepard, to go with the Buff FemShep mod. Replaces intro outfit. Comes in two colors. Requires Texmod. 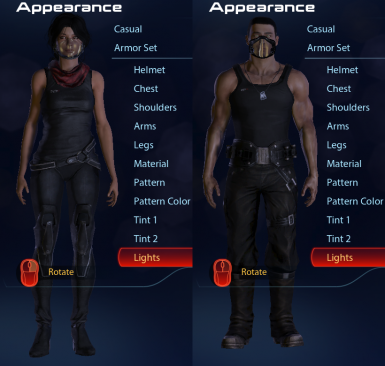 Casual tank top and fatigues for male Shepard. Replaces the intro outfit. Comes in two sizes and two colors. Requires Texmod. 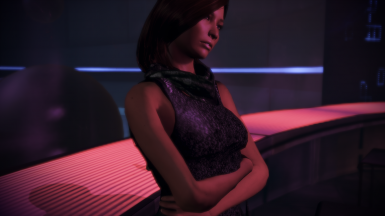 This is a mesh mod + texture replacement that gives Liara an outfit like Aria's but textured to match her default color scheme. It can replace either her default outfit or her Collector's edition alternate outfit (the grapefruit colored one). 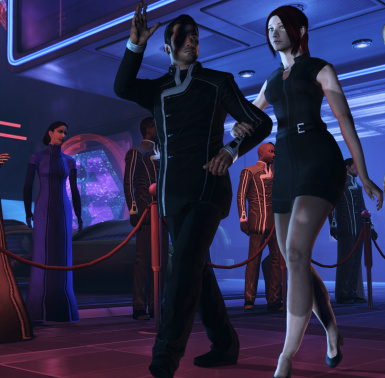 Replaces FemSheps dress with a variant of her dress from the Kasumi DLC of me2. 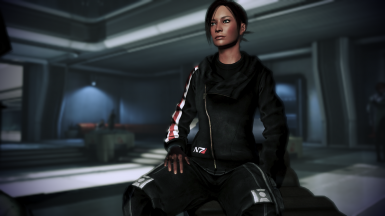 Replacement of Edi's casual outfit with an outfit similar to her from Ashes outfit. 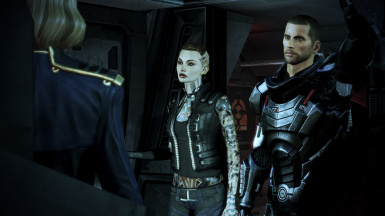 You want to show off your fabulous hairstyle and outfit in space but you cannot because of those ever so serious helmets? Here is the solution.